Ilana Freedman and George McClellan provide the analysis and in-depth discussion on the top stories that you need to know. Chinese warship comes within 45 yards of US vessel in South China Seas – Is the trade impasse having a military impact as well? 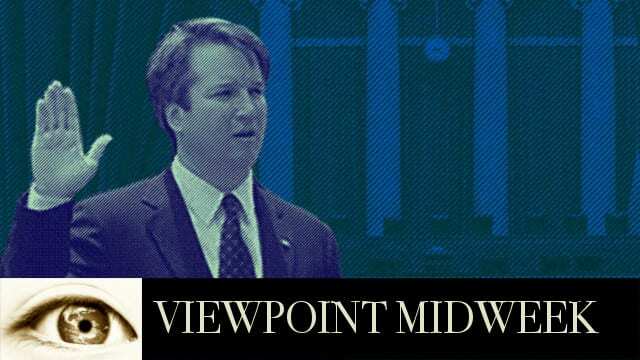 Ava Armstrong, Terry Beatley, Gayl Murphy and Dennis Santiago are our Power Panel this week as we explore, discuss and debate the circus that has become the Kavanaugh confirmation hearings! Where is this all going? Perhaps the question should be, is this a current day battle of the sexes? Is it a quest for equality? Or have we gone way beyond that? Is this a Teachable Moment for America? Every day the media subjects us to a 24/7 barrage of accusations, opinion and editorial commentary on their favorite agenda hit-list. Where is the line drawn between doing something that’s regrettable versus that of criminal accusation? In High School? College? Your first job? How do you draw the line between sexual advances, mutual consent and attacks? Might this be a teachable moment for America?